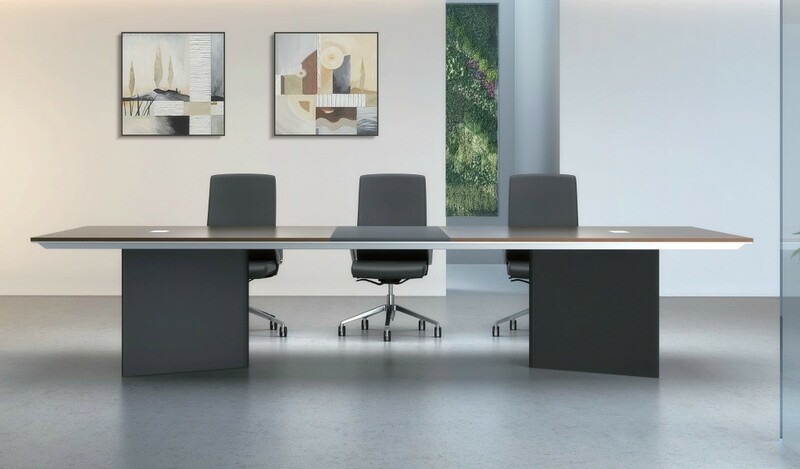 An 8 feet meeting table with a sharp profile and clean lines. Designed in a stylish combination of walnut and lychee textured matte leather with silver metal edges. Includes two inbuilt wire boxes with power and data ports. 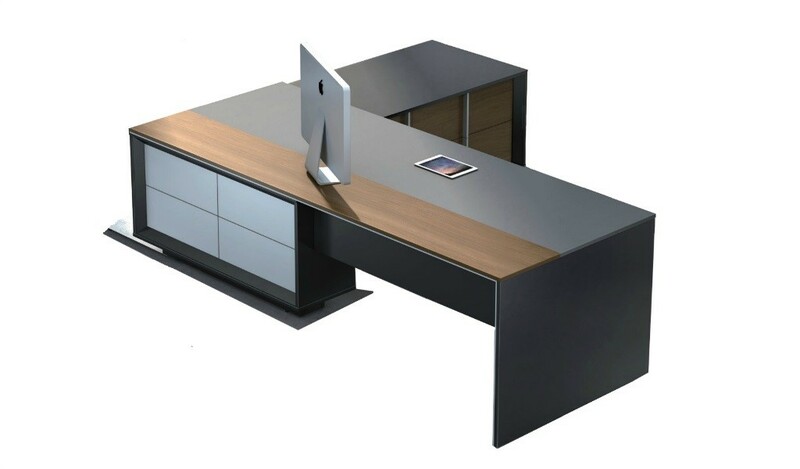 Ideal for modern interiors and contemporary work spaces. – This 10 feet meeting table looks best in its original combination of black leather and walnut wood color as seen in the picture. 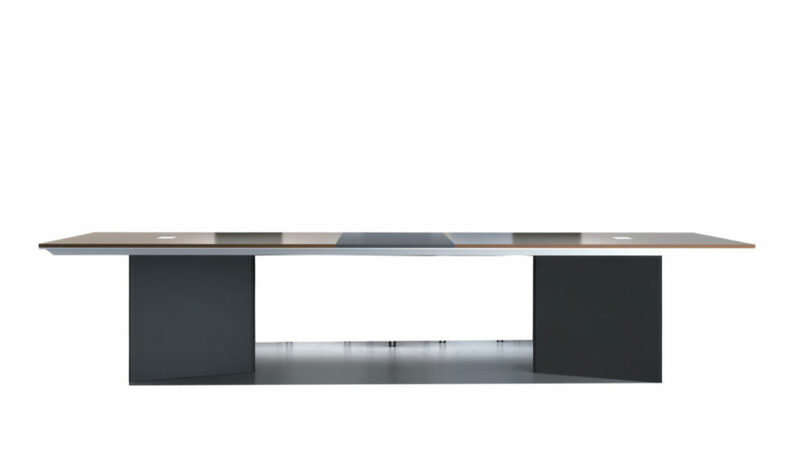 – A sleek and contemporary meeting table with 10 feet width. Suitable as a 10 to 12 seater the table is suitable for a medium size conference room. 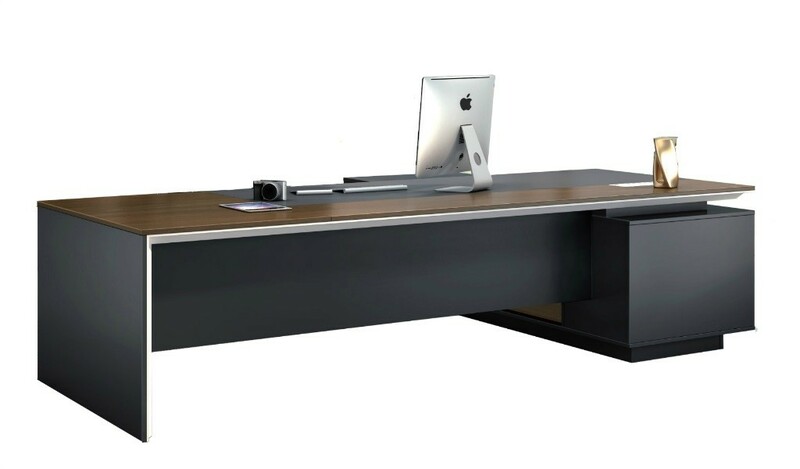 – Tabletop in walnut laminate & leather, dark gray panel base and two wire boxes with power and data ports. 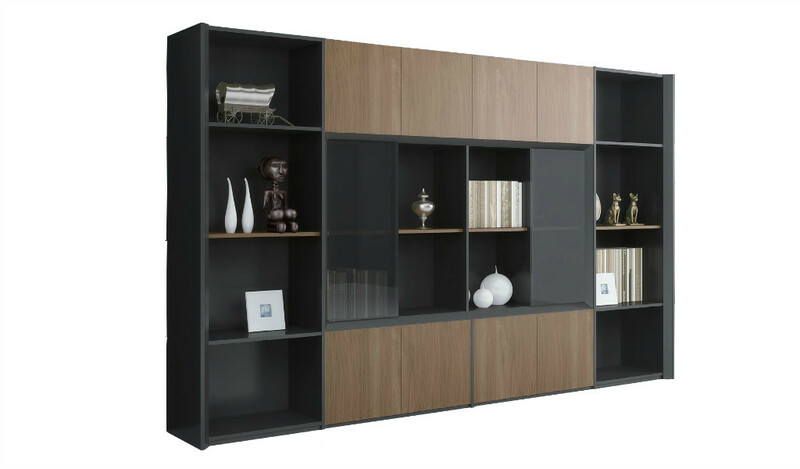 – Made using environment grade engineered wood and rich laminate with a natural wood finish. 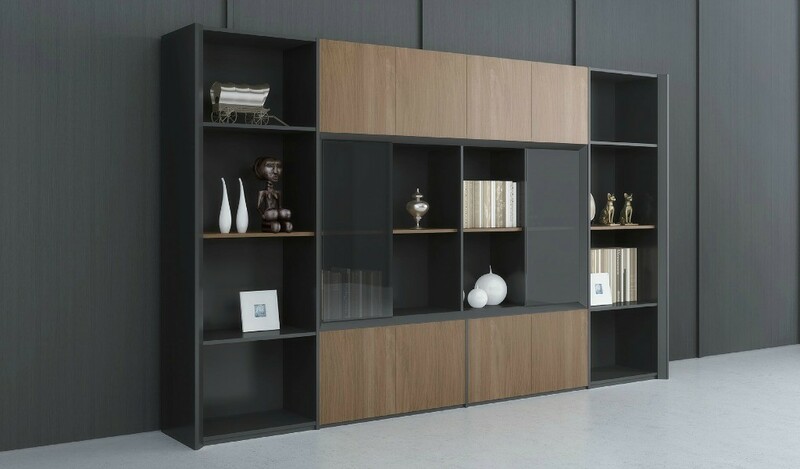 The E1 grade medium density fiber board is a highly durable material and a world standard for premium furniture while the walnut laminate is from our carefully selected range of cutting edge laminates with consistent color and grain structure. 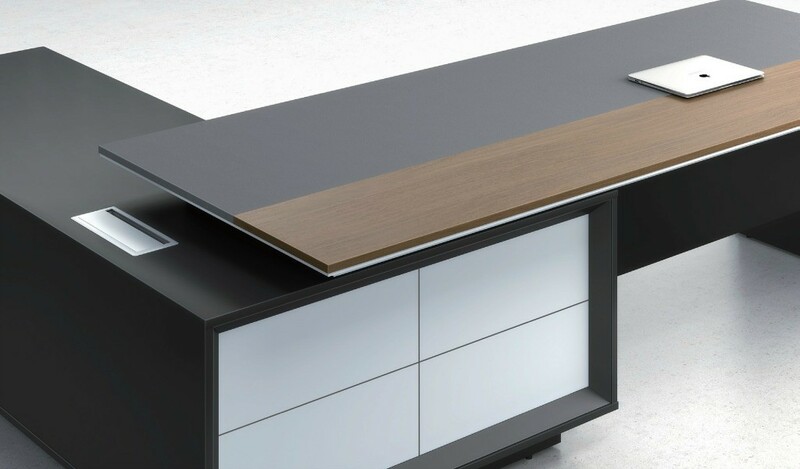 – A 10 feet long sleek conference table designed with a leather and walnut worktop having two wireboxes with power and data ports. Designed by an award winning team of German architects this natural wood finish table is crafted with the highest quality E1 grade MDF wood and walnut laminate for lasting durability, natural feel and luxurious looks. 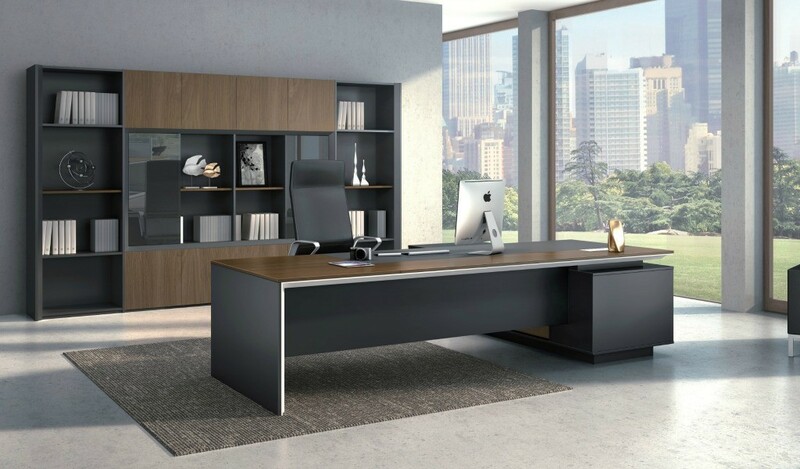 It is part of the Mary series from which you can choose an entire range of matching cabinets, larger meeting tables, office tables etc to create a complete office. Go to our catalog section to download the entire catalog.